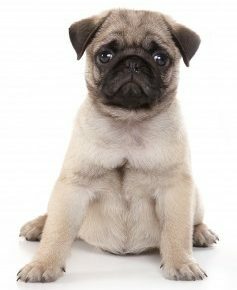 Pug dog breed information profile includes history, appearance, size, temperament, lifespan, health, training of Pug dogs and puppies. Thinking about adding a Pug dog or puppy to your family? 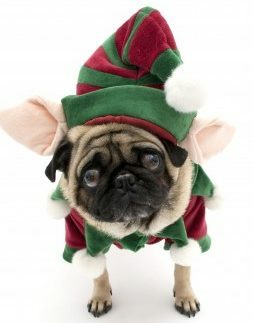 Check out our Pug Adoption Listings and Pug Dog Breeders directory. One of the oldest known breeds of domesticated dog in the world, the Pug has long been a favored pet of nobility and standing. With his noticeably round head, double-curled tail, and wrinkled face, he has charmed the world for centuries and continues to do so. While he may be built like a little bruiser, all it takes is one look in those soft brown eyes to tell you that this little guy is definitely a lover, not a fighter. The Pug is a breed of dog with a wrinkly, short-muzzled face, and curled tail. The breed has a fine, glossy coat that comes in a variety of colours, most often fawn or black, and a compact square body with well-developed muscles. The Pug is an ancient breed whose lineage can be traced to the Orient. The Pug was one of many small breeds to gain favor in Tibetan Monasteries. There, Buddhist Monks used the Pug as a companion dog and watchdog. In neighboring China, the beloved Pug was revered for his facial wrinkles, particularly the prince mark, a vertical wrinkle that resembled the Chinese character for prince. By the middle of the 16th century, Pugs had made their way to Western Europe. In Holland, an especially fortuitous Pug alerted the Dutch Guard of approaching Spanish soldiers, thereby saving the life of William of Orange. 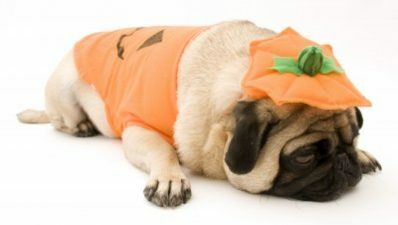 As a result, the Pug was recognized as the official dog of the House of Orange. The Pug’s mounting notoriety as a loyal companion boosted his popularity as a pet. 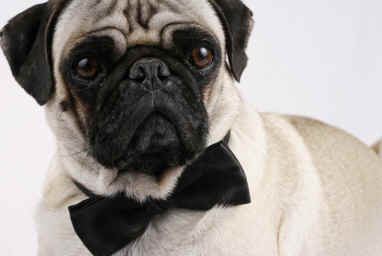 By 1790 the Pug was hobnobbing in the most stylish of social circles. Napoleon himself acquired a Pug for his wife Josephine. This proved to be a handy gift as Josephine used her Pug to ferry messages to Napoleon while she was imprisoned. In Victorian England, the Pug became a favourite among nobility, much to the chagrin of the recently displaced King Charles Spaniel. So beloved was the Pug to Queen Victoria that she set about breeding them herself. Her Majesty’s pioneer breeding of the Pug helped to establish its genetic legitimacy and in 1885 the Pug was recognized by the American Kennel Club. The Pug is square, compact and muscular. A Pug’s cobby body is characterized by a deep chest poised on sturdy, well-set legs. The Pug’s head, perhaps one of the most recognizable, is heavily wrinkled and sports a black mask. The muzzle is square and the jaw is slightly undershot. In Victorian England, the Pug’s ears were cropped to accentuate his facial wrinkles. Today, the Pug’s triangular, thin ears are left un-cropped to frame his face. The Pug’s tail is curled as tightly as possible, held high and rests over one hip. The optimum configuration of the Pug’s tail is a double curl. Pugs are wonderful even-tempered little dogs. While their Dutch name, “Mopshund” means “to grumble,” the Pug is actually a very friendly and charming little individual. Most Pugs tend to be very playful, even well into adulthood, where they love wrestling with toys and “boxing” with their feet. 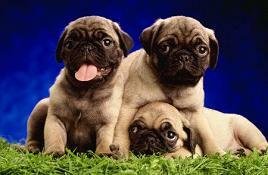 Pug puppies should be closely monitored both with adults and children. As with any small puppy, the Pug can be seriously injured if dropped or stepped upon. 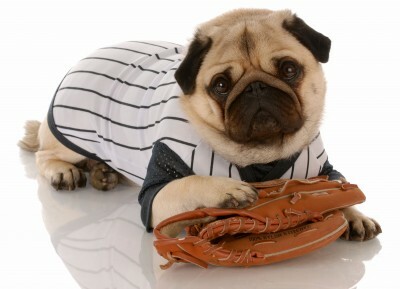 He should also be observed with larger dogs and testy cats as well – the Pug doesn’t always realize that he’s taking on more than he can chew and can be seriously injured if the play gets to be too rough. The Pug is the ideal pet for those who don’t have a lot of time to spend taking their dog on long walks or down to the dog park every day. Short of leg, a brief walk to go do his business is generally sufficient for the Pug, though he will most likely try and engage you in a game of tug-o-war with a sock when he gets home. Exercise requirements for the Pug are minimal, as he’s more fun being carried about or laying on your lap all day. Do make sure that you engage him in some playtime every day, however. 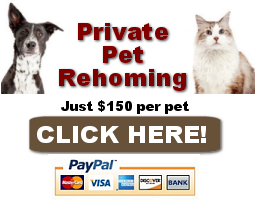 Not only will it help the two of you bond, but it will also keep him from becoming a portly puppy. The Pug’s grooming requirements are predominantly associated with preventing infection. The wrinkles, while fetching, need daily washing and drying to maintain good health. 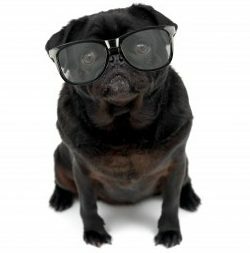 Do take great care in this pursuit as Pugs are susceptible to corneal abrasions. Many well intentioned Pug owners attempt this task with more zeal than is advisable. The Pug’s coat is short and will need daily brushing to maintain his sleek and glossy coat. This is especially urgent in spring because the Pug seems to shed more hair than he grows! Plainly put, the Pug doesn’t truly enjoy being the dog that jumps through hoops. While intelligent, they can have a stubborn streak and prefer play over any serious kind of schooling that you might try and force upon them. For best results, use a lot of patience with your Pug pup, and give serious consideration to enrolling him (and yourself) into a basic obedience course. This will help the two of you understand one another better, and help make teaching your Pug much easier. Some common health concerns for your Pug include; Pug Encephalitis, CHD, elongated palate, stenoic nares, patellar luxation, Legg-Perthes, entropion, KCS, skin infections and hemivertebra. 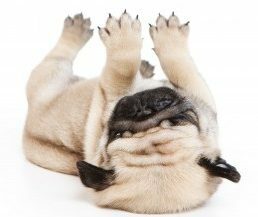 Note that cleaning your Pug’s skin folds is essential to avoid dermatitis. Also, Pugs are heat sensitive, allergic, and are sensitive to anesthesia. Because of the Pug’s bulbous eyes, corneal abrasions are common. Dietary regulation is essential to avoid obesity. Is a Pug The Right Breed of Dog For You? Are you considering bringing a Pug dog into your family? This affectionate dog breed can be a joy to own and a much loved and cherished member of your family. As with any dog breed, there are pluses and minuses to owning a Pug dog breed. If youre planning on giving a new Pug dog a home, its important that you be aware of the characteristics that make this dog breed distinctive. Here are some advantages and disadvantages to owning a Pug. The Pug is super affectionate. The Pug dog breed is highly social, even tempered, and enthusiastic about life and spending time with their family. They want to be included in all of your activities and may become depressed if they’re not allowed to participate. These dogs are definitely “people dogs”. Pugs are great with children. Their love of children probably stems from their overall affectionate nature. Their rather small size makes them less threatening to children. Theyre generally a good choice if you have young kids. Being a small dog with an average weight of around fifteen pounds makes them easy travel companions. If you travel by air, you can usually take them on board with a carrier and they usually travel well by car. Their smaller size and unusual appearance makes them popular with people you meet in public places. A Pug is a great “take along” dog. Some people have actually stated they find the Pug dog breed to be the ugliest dog breed in existence while others will swear theyre the cutest. It just reaffirms that dog beauty is in the eyes of the beholder. No matter which camp you fall into, the Pug has a look unlike any other dog which is sure to draw attention. They shed and shed and shed. 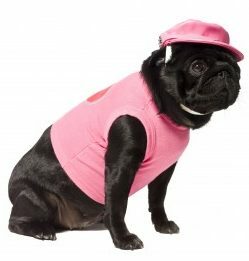 People will sometimes look at a Pugs short coat and form the mistaken impression that this dog breed doesnt shed. Nothing could be further from the truth. Underneath that short coat lies a very fluffy undercoat that will stick to your carpeting, clothing, and upholstery. Because of their strong tendency to shed, a Pug needs their fur brushed on a daily basis. The Pug may not be the right dog for an owner obsessed with cleanliness. Pugs make lots of noise when breathing. 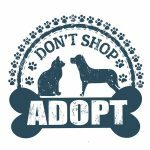 If you buy or participate in a Pug adoption, be prepared for lots of wheezing and snorting Pug dogs are some of the noisiest breathers alive. If you sleep in the room with one at night, be prepared for their incessant snoring or wear a good set of earplugs to bed with you. Members of the Pug dog breed tend to be stubborn and have a mind of their own. This can make training them a challenge. Unfortunately, theyre not always easy to housetrain. Some Pug owners have reported that it took up to a year to fully housetrain their dog. Now that you know the characteristics of the Pug dog, you can make a more informed decision as to whether the Pug dog breed is right for you and your family. If you decide a Pug is right for you, you don’t have to necessarily get your Pug dog from a breeder. There are a variety of rescue groups that participate in Pug adoptions and would love to give a Pug dog a good home.